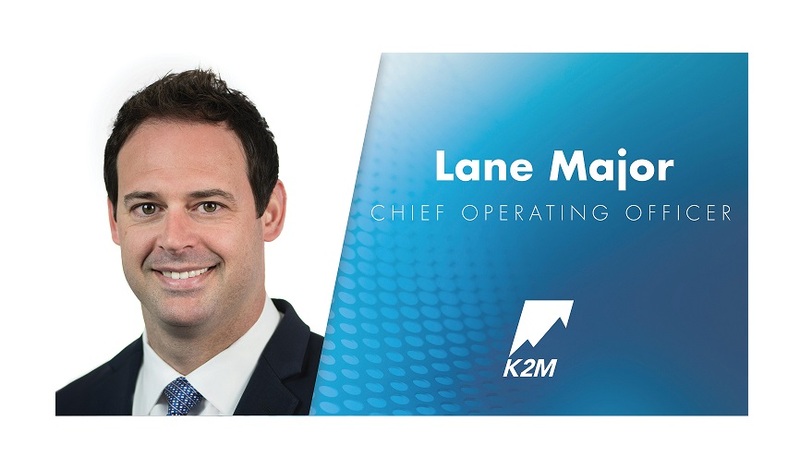 LEESBURG, Va., March 29, 2018 (GLOBE NEWSWIRE) — K2M Group Holdings, Inc.(NASDAQ:KTWO) (the “Company” or “K2M”), a global leader of complex spine and minimally invasive solutions focused on achieving three-dimensional Total Body Balance™, today announced the appointment of Lane Major as Chief Operating Officer, a new position within K2M, effective immediately. Major brings more than 15 years of spine industry experience, most recently as K2M’s Chief Strategy Officer, a position held following his service as K2M’s Senior Vice President of Global Marketing & Product Development. He has been with K2M since the Company’s inception in 2004 and has been essential to the development and commercialization of K2M’s product portfolio. Major earned a B.B.A in Marketing and Computer Information Systems from James Madison University and an M.B.A from Northwestern University’s Kellogg School of Management. For more information about K2M, visit www.K2M.com. K2M Group Holdings, Inc. is a global leader of complex spine and minimally invasive solutions focused on achieving three-dimensional Total Body Balance. 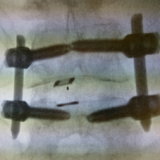 Since its inception, K2M has designed, developed, and commercialized innovative complex spine and minimally invasive spine technologies and techniques used by spine surgeons to treat some of the most complicated spinal pathologies. K2M has leveraged these core competencies into Balance ACS, a platform of products, services, and research to help surgeons achieve three-dimensional spinal balance across the axial, coronal, and sagittal planes, with the goal of supporting the full continuum of care to facilitate quality patient outcomes. 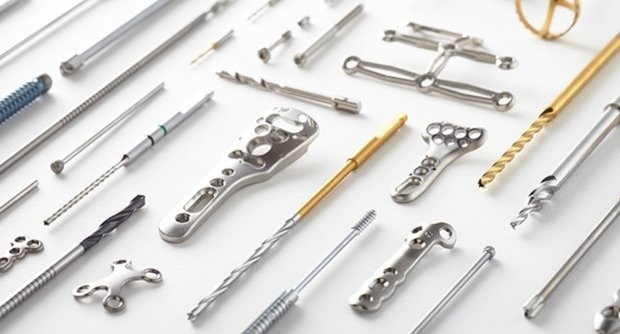 The Balance ACS platform, in combination with the Company’s technologies, techniques, and leadership in the 3D-printing of spinal devices, enable K2M to compete favorably in the global spinal surgery market. For more information, visit www.K2M.comand connect with us on Facebook, Twitter, Instagram, LinkedIn and YouTube. This press release contains forward-looking statements that reflect current views with respect to, among other things, operations and financial performance. Forward-looking statements include all statements that are not historical facts such as our statements about our expected financial results and guidance and our expectations for future business prospects. In some cases, you can identify these forward-looking statements by the use of words such as, “outlook,” “guidance,” “believes,” “expects,” “potential,” “continues,” “may,” “will,” “should,” “could,” “seeks,” “predicts,” “intends,” “plans,” “estimates,” “anticipates” or the negative version of these words or other comparable words. Such forward-looking statements are subject to various risks and uncertainties including, among other things: our ability to achieve or sustain profitability in the future; our ability to demonstrate to spine surgeons and hospital customers the merits of our products and to retain their use of our products; pricing pressures and our ability to compete effectively generally; collaboration and consolidation in hospital purchasing; inadequate coverage and reimbursement for our products from third-party payers; lack of long-term clinical data supporting the safety and efficacy of our products; dependence on a limited number of third-party suppliers; our ability to maintain and expand our network of direct sales employees, independent sales agencies and international distributors and their level of sales or distribution activity with respect to our products; proliferation of physician-owned distributorships in the industry; decline in the sale of certain key products; loss of key personnel; our ability to enhance our product offerings through research and development; our ability to maintain adequate working relationships with healthcare professionals; our ability to manage expected growth; our ability to successfully acquire or invest in new or complementary businesses, products or technologies; our ability to educate surgeons on the safe and appropriate use of our products; costs associated with high levels of inventory; impairment of our goodwill and intangible assets; disruptions to our corporate headquarters and operations facilities or critical information technology systems or those of our suppliers, distributors or surgeon users; our ability to ship a sufficient number of our products to meet demand; our ability to strengthen our brand; fluctuations in insurance cost and availability; our ability to remediate the material weaknesses in our IT general controls; our ability to comply with extensive governmental regulation within the United States and foreign jurisdictions; our ability to maintain or obtain regulatory approvals and clearances within the United Statesand foreign jurisdictions; voluntary corrective actions by us or our distribution or other business partners or agency enforcement actions; recalls or serious safety issues with our products; enforcement actions by regulatory agencies for improper marketing or promotion; misuse or off-label use of our products; delays or failures in clinical trials and results of clinical trials; legal restrictions on our procurement, use, processing, manufacturing or distribution of allograft bone tissue; negative publicity concerning methods of tissue recovery and screening of donor tissue; costs and liabilities relating to environmental laws and regulations; our failure or the failure of our agents to comply with fraud and abuse laws; U.S. legislative or Food and Drug Administration regulatory reforms; adverse effects associated with the exit of the United Kingdom from the European Union; adverse effects of medical device tax provisions; potential tax changes in jurisdictions in which we conduct business; our ability to generate significant sales; potential fluctuations in sales volumes and our results of operations over the course of a fiscal year; uncertainty in future capital needs and availability of capital to meet our needs; our level of indebtedness and the availability of borrowings under our credit facility; restrictive covenants and the impact of other provisions in the indenture governing our convertible senior notes and our credit facility; worldwide economic instability; our ability to protect our intellectual property rights; patent litigation and product liability lawsuits; damages relating to trade secrets or non-competition or non-solicitation agreements; risks associated with operating internationally; fluctuations in foreign currency exchange rates; our ability to comply with the Foreign Corrupt Practices Act and similar laws; increased costs and additional regulations and requirements as a result of being a public company; our ability to implement and maintain effective internal control over financial reporting; potential volatility in our stock price; our lack of current plans to pay cash dividends; potential dilution by the future issuances of additional common stock in connection with our incentive plans, acquisitions or otherwise; anti-takeover provisions in our organizational documents and our ability to issue preferred stock without shareholder approval; potential limits on our ability to use our net operating loss carryforwards; and other risks and uncertainties, including those described under the section entitled “Risk Factors” in our most recent Annual Report on Form 10-K filed with the SEC, as such factors may be updated from time to time in our periodic filings with the SEC, which are accessible on the SEC’s website at www.sec.gov. Accordingly, there are or will be important factors that could cause actual outcomes or results to differ materially from those indicated in these statements. These factors should not be construed as exhaustive and should be read in conjunction with the other cautionary statements that are included in this release and our filings with the SEC. Source: K2M Group Holdings, Inc., Photo: K2M Group Holdings, Inc.
AUSTIN, Texas–(BUSINESS WIRE)–Ortho Kinematics‚ Inc. (OKI), a privately held healthcare diagnostics company focused on spine imaging informatics, announced today that Erik Wagner has been appointed Interim Chief Executive Officer. Mr. Wagner has been an investor and advisor to OKI for several years. 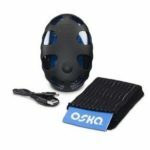 OKI’s core product, the VMA is a diagnostic test for the assessment of spinal motion, instability, and sagittal alignment. Spinal instability and alignment are important considerations for physicians when evaluating candidates for therapies such as surgery and pain management. The VMA has been shown in studies to increase the sensitivity in detecting spinal motion, including instability, with no decrease in specificity relative to the current standard test. Mr. Wagner has been a co-founder, board member, and held executive management positions in two venture-backed spinal implant companies including Spinal Concepts (1996-2004) and Flexuspine (2007-2014). At Spinal Concepts, he and his partners raised over $40 million in venture capital leading the company to profitability in less than six years on sales exceeding $10 million/month and growing at 70% CAGR. He left Spinal Concepts following the sale of the company to Abbott Labs for $170 million in 2003. His proven record for innovation and leadership continued at Flexuspine where he served as CTO & CEO and led the development and clinical investigation of the world’s first spinal segmental reconstruction device. He is a named inventor on over 80 patents for medical devices ranging from spinal implants to cardiovascular atherectomy devices. 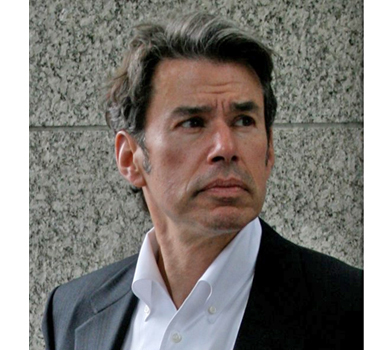 He continues to serve as a business consultant and advisor to medical device startups and investor groups. Ortho Kinematics is a privately held diagnostic technology company, focused on spine imaging informatics and committed to the idea that spine motion matters. The company is working with a group of leading clinicians, researchers, and developers who are passionate about leveraging spine biomechanical data to improve the diagnosis and treatment of back pain. Ortho Kinematics is located in Austin, Texas and at www.orthokinematics.com. Amplitude Surgical (Paris:AMPLI) (ISIN: FR0012789667, Ticker: AMPLI, PEA-PME eligible), a leading French player on the global surgical technology market for lower-limb orthopedics, today announces its results for the first half of its 2017-18 financial year (July to December 2017). During the first half of its 2017-18 financial year, Amplitude Surgical continued to deploy its strategy and recorded sales of €44.7 million, up +6.6% in actual terms and 8.1% at constant currency, and EBITDA of €6 million, up 7.9%, giving a slight improvement in the margin to 13.3%. lastly, during the first half, the Group completed the acquisition of two companies of sales agents in France, in the east of the country and in the Paris region, in order to intensify its commercial presence and reinforce its leadership in these regions. Over the first half of its 2017-18 financial year (from July to December), Amplitude Surgical generated sales of €44.7 million, an increase of +6.6% in actual terms and 8.1% at constant currency. The Group’s performance benefited from the mobilization of the teams in France and in its subsidiaries, but was still negatively impacted by a high basis for comparison (+19.8% at constant currency in H1 2016-17), notably regarding activity with distributors. In France, Amplitude Surgical continued to increase its market share with numerous new clients, and sales grew by 8.1% to €28 million. This performance incorporates the 3.5% reduction applied to all implants since August 2017, on the initiative of the health authorities. The recent acquisition of companies of sales agents responsible for directly managing key regions in eastern France and the Paris region will soon have a positive impact by enabling Amplitude Surgical to strengthen its sales presence in these regions. Abroad, the activity of the Group’s subsidiaries continued to record very solid performances with sales of €12.9 million, up +12% in actual terms and +17.5% at constant currency. This sales momentum was particularly satisfactory in Australia, South Africa, Switzerland and Benelux, while Brazil and Germany remained stable. Japan doubled its activity. 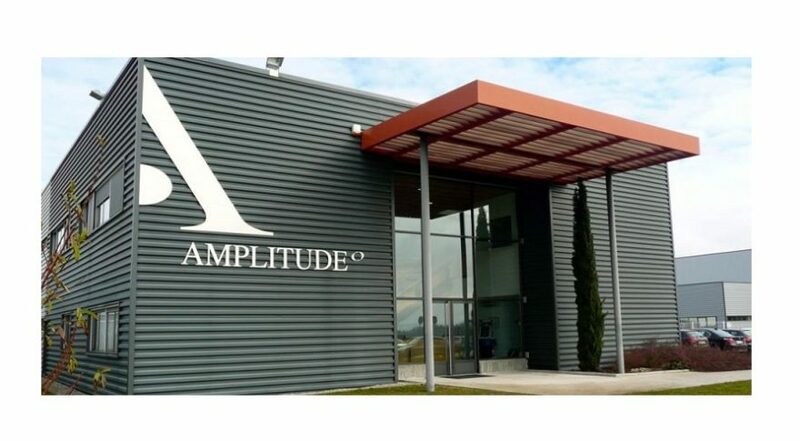 Amplitude Surgical’s direct activity – the French market and international subsidiaries – increased by +11% at constant currency and accounted for almost 92% of total Group sales. 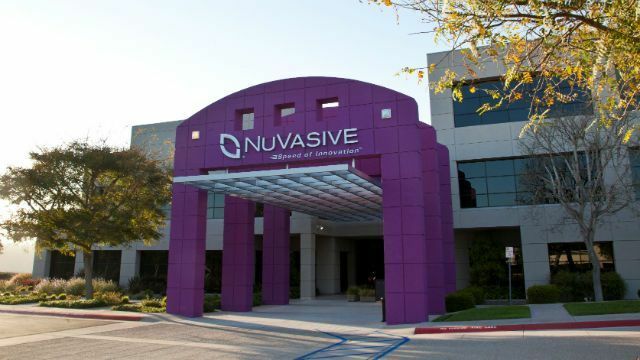 Novastep, which markets innovative solutions for extremities (foot and ankle) surgery, saw its sales continue to grow, notably in France (+38%), with international sales accounting for 60% of its total sales over the first half. Globally, 4 years after its first products were marketed, Novastep’s activity accounts for over 7% of Amplitude Surgical’s sales. Amplitude Surgical generated a gross margin of 75.6%, a 110 bp improvement compared with the first half of 2016-17, mainly attributable to the benefits of the industrial integration and the growth in sales with a decline in distributor’s sales, this business having traditionally a lower margin. The Group’s total operating expenses came to €27.8 million, a limited increase of 6.8%, reflecting the human and commercial investments of the Group to develop new territories and further increase its market share. 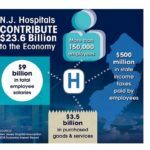 At the end of December 2017, Amplitude Surgical had a workforce of 392 staff, versus 368 at end-June 2017 and 306 at end-December 2016, and personnel costs increased by 19% compared with the first half of 2016-17, including the various acquisitions. During the semester, the Group reclassified expenses related to the Quality and Regulatory Affairs departments as Administrative instead of R&D expenses as previously accounted (€0.4 million for 1st half 2016-17). With 46 employees at end-December 2017, total R&D expenses stood at 5.8% of sales compared to 7.6% for FY 2016-17. EBITDA was thus €6.0 million, up 7.9%, giving an EBITDA margin of 13.3%, up 10 bp compared with the first half of 2016-17. Excluding the costs associated with the start-up costs from the American and Japanese subsidiaries, Amplitude Surgical’s EBITDA was €6.4 million, up 5% with a margin of 14.4%. The Group recorded a Core Operating Loss of €1.9 million and an Operating Loss of €3.2 million, versus -€0.6 million over the first half of 2016-17, the latter having benefited from a one-off profit from the settlement of the Australian dispute. At December 31, 2017, the Group booked an additional provision of €1.4 million and continued to provision the entire risk associated with its dispute with URSSAF regarding taxation on medical devices. The Financial loss was €4.7 million, which includes a net interest expense of €3.4 million and the booking of currency exchange losses of €1.2 million. The Net loss was €8.6 million, compared with a loss of €6.0 million in H1 2016-17. Net cash flow generated by operating activity was up €1.8 million over the first half year, versus cash burn of €8.2 million in the first half of 2016-17, notably driven by a significant improvement in Working Capital, +€4 million vs. -€1.8 million in H1 2016-17. First-half investment totalled €11.8 million, down on the €16.3 million in H1 2016-17, and was notably attributable to the acquisition of sales agents in France, the putting in place of instruments for €3.5 million, the acquisition of a major patent for Novastep and the ongoing setting up of a clean room on the Valence site for €1 million. Despite these capex and a €2.4 million settlement of two disputes, fully provisioned, the Group continues to enjoy a very solid financial structure, with Cash & Cash Equivalents of €34.1 million at end-December 2017 and Net Financial Debt of €90.3 million, giving gearing (Net Financial Debt over Shareholders’ Equity) of 0.95, vs. 0.78 at end-June 2017 and 0.65 at end-December 2016. Next financial press release: Q3 2017-18 sales, on Thursday April 26, 2018, after market. Founded in 1997 in Valence, France, Amplitude Surgical is a leading French player on the global surgical technology market for lower-limb orthopedics. Amplitude Surgical develops and markets high-end products for orthopedic surgery covering the main disorders affecting the hip, knee and extremities, and notably foot and ankle surgery. Amplitude Surgical develops, in close collaboration with surgeons, numerous high value-added innovations in order to best meet the needs of patients, surgeons and healthcare facilities. A leading player in France, Amplitude Surgical is developing abroad through its subsidiaries and a network of exclusive distributors and agents distributing its products in more than 30 countries. Amplitude Surgical operates on the lower-limb market through the intermediary of its Novastep subsidiaries in France and the United States. At June 30, 2017, Amplitude Surgical had a workforce of nearly 370 employees and recorded sales of over 93 million euros. LYON, France & NEW YORK–(BUSINESS WIRE)–The Medicrea® Group (Euronext Growth Paris: FR0004178572 – ALMED), pioneering the convergence of healthcare IT and next-generation, outcome-centered spinal device design and manufacturing with UNiD ASI™ (Adaptive Spine Intelligence) technology, announced today that the Company has signed a joint-venture agreement with Motion Medical, Medicrea’s existing distribution partner, to accelerate the adoption of the Group’s products and technologies in Belgium. 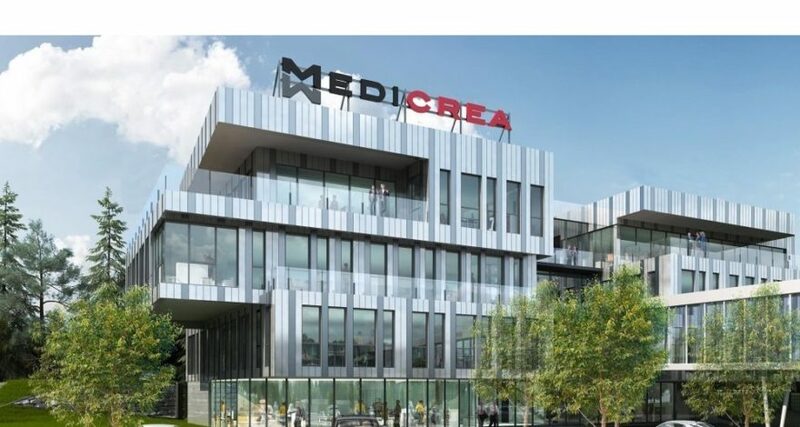 Medicrea International holds a 51% majority stake in the Medicrea Belgium joint-venture and plans to transition the entity to a fully-owned Medicrea subsidiary over the next years. All revenue generated through the sale of Medicrea products in Belgium will be aggregated in Medicrea’s group consolidated numbers and reported effective from February 2018. Operating in a $10 billion marketplace, Medicrea is a Small and Medium sized Enterprise (SME) with 175 employees worldwide, which includes 50 who are based in the U.S. The Company has an ultra-modern manufacturing facility in Lyon, France housing the development and production of 3D-printed titanium patient-specific implants. 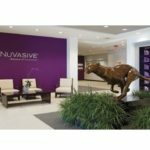 SAN DIEGO, March 29, 2018 /PRNewswire/ — NuVasive, Inc. (NASDAQ: NUVA), the leader in spine technology innovation, focused on transforming spine surgery with minimally disruptive, procedurally-integrated solutions, today announced the results of the study “Impaction durability of Porous PEEK™ and titanium-coated PEEK interbody fusion devices,” published online in The Spine Journal, which concluded advantages of the NuVasive Porous PEEK material over titanium-coated PEEK devices1. In the study, titanium-coated PEEK, smooth PEEK and NuVasive Porous PEEK interbody implants were subjected to impaction loading conditions. Analysis of Porous PEEK showed the surface structure maintained a high porosity (>65%) and exhibited minimal changes to pore size and depth following impaction. This maintenance of porosity and pore depth gives a surgeon confidence that the porous architecture will not collapse during insertion. The titanium-coated devices demonstrated titanium coating loss after impaction that was corroborated with a decrease in surface roughness. Smooth PEEK showed minimal signs of damage, but demonstrated a decrease in surface roughness. 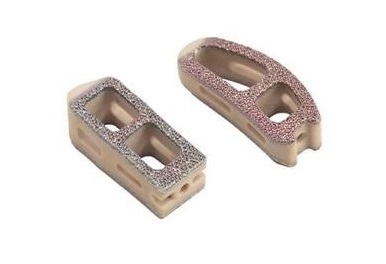 Porous PEEK is manufactured through a proprietary extrusion process which produces a unified porous-to-solid structure designed to enhance osseointegration and maximize bone-to-implant contact. Available for cervical and thoracolumbar applications, Cohere® and Coalesce™ Interbody Fusion Devices are the only Porous PEEK interbody implants available in the market. MAHWAH, N.J., March 29, 2018 /PRNewswire/ — Stryker Orthopaedics is pleased to announce its second PGA TOUR stop of 2018, its fifth consecutive year as the “Official Joint Replacement Products of the PGA TOUR® and PGA TOUR Champions,” with an appearance at the Houston Open in Humble, TX. During the tournament, Stryker will continue its commitment to educating golf fans about the importance of joint health through an interactive experience in The Mobility Zone, featuring an Accuracy Challenge and Stryker’s Mako Technology. As the premiere feature of The Mobility Zone, the new Accuracy Challenge will invite visitors to take a shot at surgery with a hands-on experience introducing Art H. Ritis, a life-size model that aims to provide tournament-goers a basic understanding of joint replacement surgery and Stryker’s Mako Technology. Additionally, orthopaedic surgeons who use Mako Technology will be on-site at The Mobility Zone to discuss joint health and treatment options with fans who are experiencing joint pain or want to learn more. Continuing a relationship that began in 2015, Stryker is proud to support K9s For Warriors at tournaments throughout the year. Tournament-goers can show their support for veterans by purchasing the same hat that PGA TOUR professional and longtime brand ambassador Fred Funk wears on TOUR at The Mobility Zone. With each hat purchase, Stryker will make a donation to K9s For Warriors, the nonprofit organization dedicated to providing service canines to military veterans suffering from Post-Traumatic Stress Disability, traumatic brain injury or other military trauma as a result of military service post 9/11. Finally, as part of Stryker’s dedication to motivating fans to stay active, Stryker will host the Health Walk at the Houston Open. The Health Walk highlights joint health and golf facts along the course to educate fans as they follow their favorite golfers. For additional information on the Stryker Accuracy Challenge as well as K9s For Warriors involvement, please visit: www.patients.stryker.com. The PGA TOUR co-sanctions more than 130 tournaments on the PGA TOUR, PGA TOUR Champions, Web.com Tour, PGA TOUR Latinoamérica, Mackenzie Tour-PGA TOUR Canada and PGA TOUR-China. Members on the PGA TOUR represent the world’s best players, hailing from 25 countries (84 members are from outside the United States). Worldwide, PGA TOUR tournaments are broadcast to more than 1 billion households in 226 countries and territories in 23 languages. Virtually all tournaments are organized as non-profit organizations to maximize charitable giving. In 2017, tournaments across all Tours generated a record of more than $180 million for local and national charitable organizations, bringing the all-time total to $2.65 billion. Carmel, Ind. (March 28, 2018) – Nanovis, today announced the successful FDA clearance of its FortiCore® TLIF and PLIF interbodies featuring a Nanosurface-enhanced deeply porous titanium scaffold intermolded with a PEEK core. “Implant nano surface science has advanced from the early days when we simply created nanoroughness for implants because tissues have nanoroughness. Now we understand the mechanisms by which nanotopographies can interact with cellular signaling pathways. I’m delighted that with Nanovis’ implants, patients can now benefit from a carefully designed and controlled nanotopography that harnesses this groundbreaking research,” said Thomas Webster, PhD, Chemical Engineering Department Chair, Northeastern University, who with Chang Yao, PhD, were early pioneers in the use of nanosurfaces to enhance bone growth. 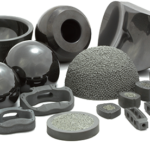 Nanovis’ foundational FortiCore interbody fusion platform is well proven with over 4,250 implanted to date. FortiCore interbodies have deeply porous interconnected titanium scaffolds intermolded with a PEEK core, giving surgeons important fixation and imaging advantages. Data comparing the osseointegration strength of the FortiCore scaffold, PEEK, and allograft to the strength of trabecular host bone was published in Spine in late 2016. Now the titanium scaffolds on the FortiCore TLIF and PLIF interbodies are enhanced with a carefully designed and controlled nanosurface. “The science behind this nano technology is very exciting and clearance of the surface provides Nanovis another highly differentiated platform designed to reduce fixation related complications across a wide range of implant systems. In the short term, this nanopatterned surface targets fixation related complications and in the intermediate term this nanopatterned surface is the foundation of a bactericidal program targeting infection related complications,” said Matt Hedrick, CEO, Nanovis. Nanovis’ clinical and scientific goals are to reduce fixation and infection related complications. The Company’s patented and proprietary regenerative technology platforms provide differentiated surface advantages enabling the potential for existing medical devices to achieve new outcomes. Nanovis is commercializing science-driven platforms: the deeply porous scaffold and nanopatterned surface on select FortiCore interbody fusion devices and developmental bactericidal technology. For more information about Nanovis, FortiCore or other proprietary Nanovis science-enhanced technologies, please visit www.nanovisinc.com or call 1-317-507-1058. Becker’s Healthcare is pleased to welcome Dr. Richard Wohns and more than 222 other talented medical professionals as speakers for Becker’s 16th Annual Future of Spine + The Spine, Orthopedic and Pain Management-Driven ASC Conference, June 14 to 16 at the Swissotel in Chicago. NeoSpine Founder and President Dr. Richard Wohns will deliver exciting content June 14 and 15 on investing in early stage spine and device companies; the future of spine, private practice and more; and investing as a spine surgeon. A board-certified neurosurgeon, he has performed more than 3,000 outpatient cervical and lumbar surgeries and gives international lectures on the clinical, business and legal aspects of outpatient spine surgery. Pablo Pazmino, MD, an orthopedic spinal surgeon and medical director of Santa Monica, Calif.-based Spine Cal, will share his expertise with Becker’s audience June 16. He’ll discuss techniques, tricks and tips for the cervical hybrid arthroplasty in the outpatient setting. Dr. Pazmino holds hospital privileges in spinal surgery at several locations, including Cedars-Sinai Medical Center and UCLA Medical Center in Los Angeles. Board-certified neurological surgeon Ying Chen, DO, FACOS, will discuss the relationship between orthopedic and spine practices and their ASCs June 15. Dr. Chen practices at Columbus, Ohio-based OrthoNeuro, where he also serves as chairman on the IT committee. He is a member of the Ohio Osteopathic Association’s House of Delegates with the Columbus chapter. Conference attendees will have the opportunity to hear from Jamie Baisden, MD, a professor of neurosurgery at the Medical College of Wisconsin in Milwaukee. Dr. Baisden, who has been named one of the “Best Doctors in America” and listed in the “Guide to America’s Top Physicians,” will speak June 15 on key evolutions in the medical device arena. Becker’s thanks its corporate partner, Johnson & Johnson One Medical Device, for its title sponsor support of the event. To hear Joe Montana and other great keynotes and speakers, join Becker’s Healthcare at its Future of Spine + The Spine, Orthopedic and Pain Management-Driven ASC Conference, June 14 to 16 by registering here: https://www.regonline.com/registration/Checkin.aspx?EventID=2050742 or contact Jessica Cole by email at jcole@beckershealthcare.com or by phone at 312-929-3675. For the complete conference brochure, click here: https://www.beckersasc.com/june-conference/. Becker’s ASC Review offers general business, legal and clinical guidance on topics relevant to outpatient surgery including joint ventures, development and expansion, and regulatory and compliance issues, as well as analysis and insight for specialties including orthopedics and spine, gastroenterology, neurosurgery, ophthalmology, ENT, and anesthesiology. Each of the nine annual issues of the publication reaches a qualified audience of more than 25,000 key ASC leaders, including surgeons, medical directors, directors of surgery and ASC administrators. Every ASC in the nation receives Becker’s ASC Review. Becker’s Spine Review features news and analysis on business and legal issues relating to spine practices. Each issue of the quarterly publication reaches a qualified audience of approximately 12,500 key spine practice decision-makers, including surgeons and spine practice administrators. 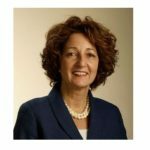 BURLINGTON, Mass.–(BUSINESS WIRE)–Bone Biologics (OTCQB: BBLG), a developer of orthobiologic products for domestic and international spine fusion markets, announced today the completion of $500,000 funding with Orthofix Holding, Inc. The funding represents the second round of a previously announced private placement. The securities offered have not been registered under the Securities Act of 1933, as amended, and may not be offered or sold in the United States absent registration or an applicable exemption from the registration requirements of the Securities Act and applicable state securities laws. Bone Biologics (OTCQB:BBLG) was founded to pursue regenerative medicine for bone. Bone Biologics Corporation is undertaking groundbreaking work with the three founders and select strategic partners, building on unprecedented research on the Nell-1 molecule that has produced a significant number of studies and publications in peer reviewed scientific literature. Bone Biologics is currently focusing its development efforts for its bone graft substitute product on bone regeneration in spinal fusion. Nell-1 is a recombinant human protein growth factor that is essential for normal bone development. For more information, please visit the company’s website at www.bonebiologics.com. Bone Biologics trades on the OTCQB venture stage marketplace for early stage and developing U.S. and international companies. OTCQB companies are current in their reporting and undergo an annual verification and management certification process. Investors can find Real-Time quotes and market information for the company on www.otcmarkets.com. This press release contains forward-looking statements that reflect the Company’s current beliefs, expectations or intentions regarding future events. Any statements contained in this press release that are not statements of historical fact may be deemed forward-looking statements. Words such as “will,” “will be,” “anticipate,” “predict,” “continue,” “future,” and similar expressions are intended to identify such forward-looking statements. This communication shall not constitute an offer to sell or the solicitation of an offer to buy any securities, nor shall there be any sale of securities in any jurisdiction in which the offer, solicitation or sale would be unlawful prior to the registration or qualification under the securities laws of any such jurisdiction. No offering of securities shall be made except by means of a prospectus meeting the requirements of Section 10 of the Securities Act of 1933, as amended.